LoRa Single Channel Gateway on a Raspberry Pi. Low part count, only requires a HopeRF LoRa module (~$10) and a Raspberry Pi. LoRa - Raspberry Pi - Single Channel Gateway - Cheap! Do you want to get started with LoRaWAN, but don't have a gateway near you? 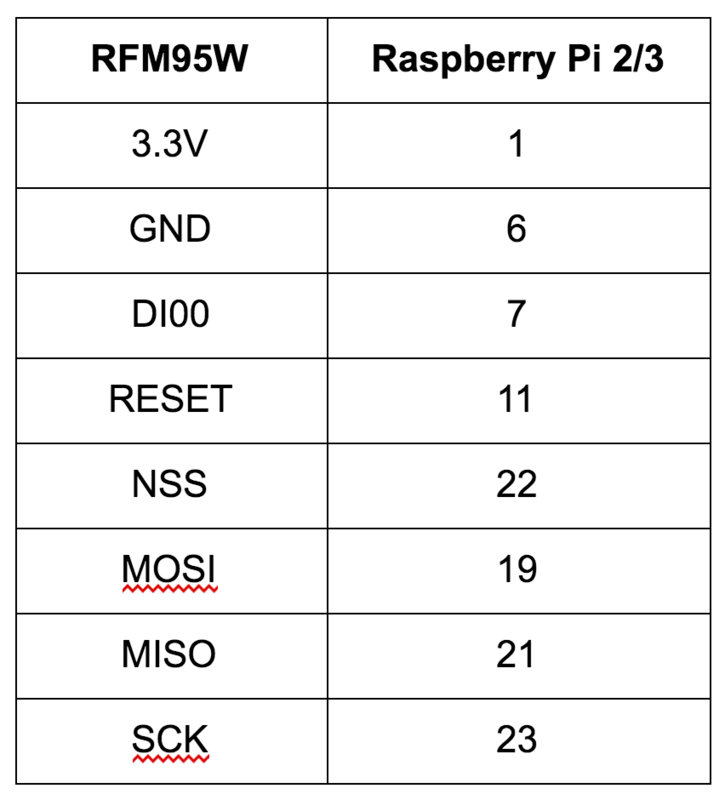 These instructions help you turn a $10 LoRa module and a Raspberry Pi into a single channel LoRaWAN gateway to experiment with LoRaWAN. 1) Prepare your female-to-female leads for the RFM95W by cutting them 4 of them in half. You should now have 8 wires - each one has a female connector at one end. 2) Strip an 1/8 inch of the insulation from each cut end. 4) Cut 2 pieces of 18 ga solid core wire 83mm in length. 5) Strip 2mm of insulation from one end of each of those wires. 6) Solder the stripped end of one of the wires to the ANT spot. 7) Solder the stripped end of one of the wires to the GND spot which is next to the ANT spot. - You have just made dipole antenna. You can also set the Informal Status Fields and location if you want to. Congratulations, you now have a gateway on The Things Network! What can you connect to your single channel gateway? IoT Solution Architect at SpinDance. Father, teacher, maker.